this is the well used back yard of our old place in 2006. we moved in on january 1st, 2001 and left on january 15, 2010. we started our time there with one kid and left with three. 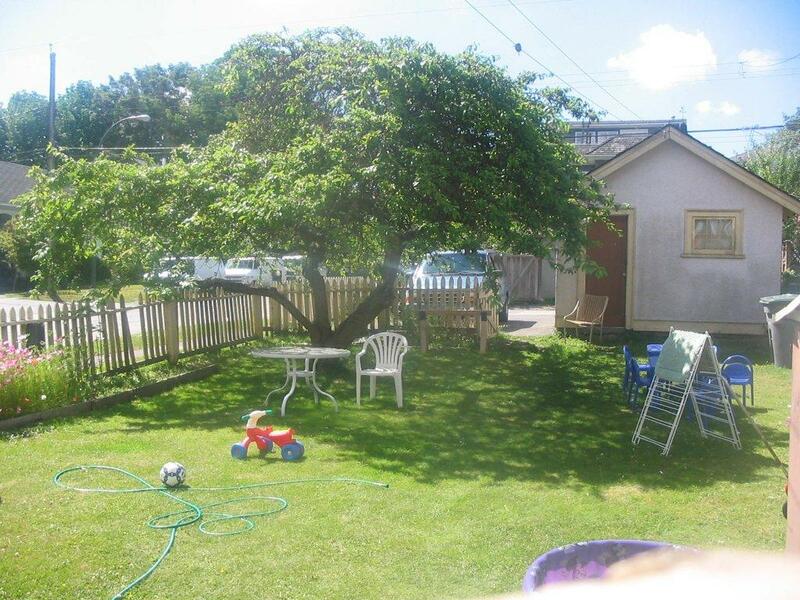 about the only redeeming feature of the whole place was that tree and the man-shed. (but we miss the neighbors and the neighborhood!). i drove by it yesterday and nothing remains but a pile of rubble - not even the beautiful old plum tree. i felt a little sad. but...it is now snowing and i am so happy for insulation and double-paned windows. not to mention the view, the new neighborhood and friendly neighbors, huge garden, an office/studio, and finally, just enough room for us all.